Model NO. : Including angles, channel, I-beam, H-beam, flats. Type: Including Angles, Channel, I-Beam, H-Beam, Flats..
1. Hot rolled flat bar: Material Q235, Specification: width 10-150; thickness: 3-60. (1) Equal angle bar: Material Q235A, B, C, D; Q345 A, B, C, D; Q420; 16Mn, Specification: 2, 2.5, 3.0, 3.6, 4, 4.5, 5, 5.6, 6.3, 7, 7.5, 8, 9, 10, 11, 12.5, 14, 16, 18, 20. 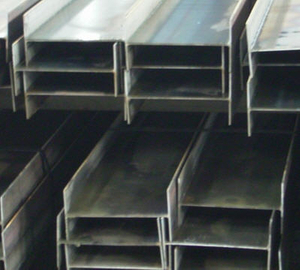 (2) Unequal angle bar: Material Q235, Q235A, Q235B, Q345, Q345B, CCSA, CCSB. Specification: 2.5/1.6, 3.2/2, 4/2.5, 4.5/2.8, 5/3.2, 5.6/3.6, 6.3/4, 7/4.5, 7.5/5, 8/5, 9/5.6, 10/6.3, 10/8, 11/7, 12.5/8, 14/9, 16/10, 18, 11, 20/12.5. Material Q235, Q235A, Q235B. Specification: 10, 12.6, 14, 16, 18, 20a, 20b, 22a, 22b, 25a, 25b, 28a, 28b, 32a, 32b, 32c, 36a, 36b, 36c, 40a, 40b, 40c, 45a, 45b, 45c, 50a, 50b, 50c, 56a, 56b, 56c, 63a, 63b, 63c. From 12, 24a, 24b, 27a, 27b, 30a, 30b, 30c, 55a, 55b to 55c, we may supply the materials after negotiation by both parties. Material Q235, Q235A, Q235B. Specification: 5, 6.3, 8, 10, 12.6, 14a, 14b, 16a, 16, 18a, 18, 20a, 20, 22a, 22, 25a, 25b, 25c, 28a, 28b, 28c, 32a, 32b, 32c, 36a, 36b, 36c, 40a, 40b, 40c. From 6.5, 12, 24a, 24b, 24c, 27a, 27b, 27c, 30a, 30b to 30c, we can negotiate for supply. Material Q235, Q235A, Q235B, Q345, Q345B, SS400. Specification: HW:100*100, 125*125, 150*150, 200*200, 250*250, 300*300, 350*350, 400*400; HM:150*100, 200*150, 250*175, 300*200, 350*250, 400*300, 450*300, 500*300, 600*300; HN:100*50, 125*60, 150*75, 175*90, 200*100, 250*125, 300*150, 350*175, 400*200, 450*200, 500*200, 600*200, 700*300. From HN400*150, 450*150 to 500*150, we can negotiate for supply. Material: Q215-Q235, 10, 20, 35, 45, 20Cr, 40Cr, 35CrMo, 42CrMo. The specifications could be placed according to clients' requirements from new production orders.